We offer taxis & minibuses to Torrox costa at competitive rates, a taxi to Torrox costa is competitively priced at €61, and a minivan comfortably fitting 8 passengers for €82, all our transfers are door to door and private so you do not have to share with any one else, Pre-book your torrox transfer and simply pay your driver at your destination, you deserve the best. 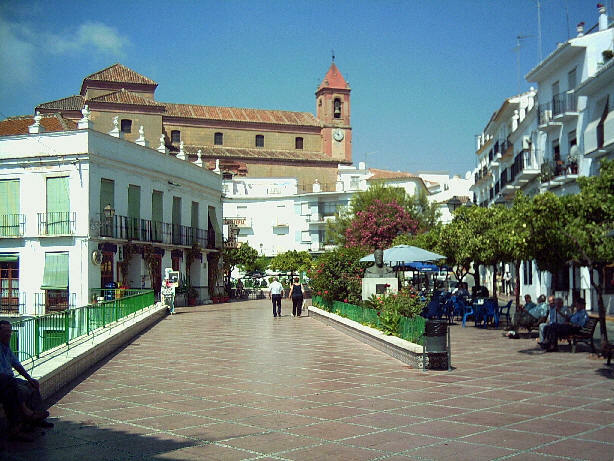 The municipality of Torrox lies 44 kilometres east of Málaga between Vélez-Málaga and Nerja and, protected by the Sierra Almijara and Tejeda mountains, the village with the best climate of Europe, according to a study done in 2008. With an average temperature of 18 degrees Celsiusjust and just 54 days of rain per year. With nine km of coast, Torrox has managed to retain a number of unspoiled beaches, which provide a most attractive natural setting. Livestock, agriculture and fishing have traditionally been the main source of income for Torrox. In the last decades things have changed making tourism its main source of income. More so German tourism has come here and stayed making it one of the biggest German colonies in Spain. The whole of the beautiful Axarquia region is a great place to explore if you enjoy rambling and getting out into the great outdoors and away from the droves of the coastal towns. Pre-Book your Malaga airport transfer to torrox costa in a private taxi for €61, no sharing, no hassle just a great ride.